When I was little, I read Swiss Family Robinson with my Mom. I began to fantasize about living in a tree house and having ostrich races with family and friends, far away from traditional living. Books surpassed any joy that a toy could bring. The first time I read about autumn as being an alternative for the word, fall, I saw trees in a new light. They went from warm, holiday trees to fires of celebration. One word had the power to change my way of thinking. Like a tattoo on the heart, early reading can impress things on a child that will imbed ideas and inspiration throughout their lifetime. Author Mukkove Johnson has come up with a wonderful way to teach children how to experience the Easter holiday without letting the things of this world get in the way. Commercialism is no match for Mukkove. Mukkove, let me just say that I love your book! 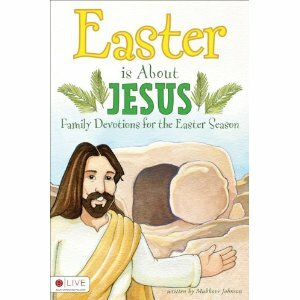 You are doing something essential for children by teaching them to see Jesus in common Easter items, such as jelly beans. What gave you the idea? Thank you Sherry! I’m no t sure where I got the idea. Maybe as a middle school youth leader I picked it up, that’s where I first remember using the concept. If you can take an everyday object and tie an impactful message with to it, it will be reinforced on a regular basis. Jesus used the things around him to teach the people who were following him. His parables are full of normal everyday things for the time he was living. I don’t think he really intended it to be any harder for us to teach those around us. For me that is mainly my children. After you wrote this and your earlier book, Christmas is about Jesus, do you find yourself finding Jesus in common day-to-day items? I think it’s sort of the way I already saw things. God shows himself in many things, teaches me through everyday things all the time, well when I’m paying attention anyway. For the books it was a combination of things I easily saw Jesus in and then things I saw around the holiday so I thought of a way it could remind us of Jesus. 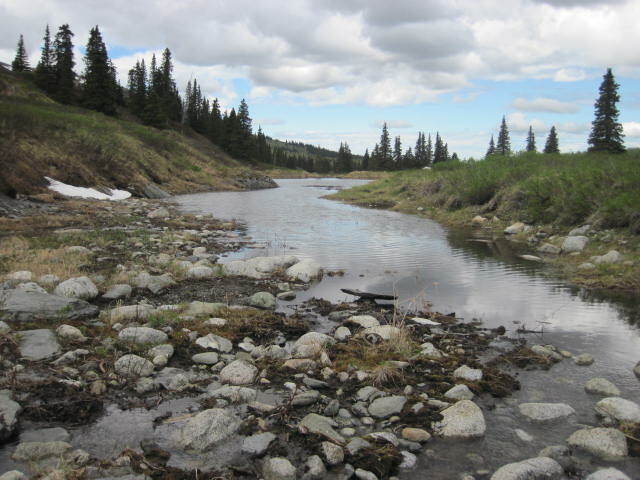 You live in Alaska where there is so much uncongested land – do you find it easier to connect with the Lord where man has made fewer impressions on creation? Do you have any more books in the works? I have many ideas for books. I think the next I’ll pursue publishing will be another devotional, more interactive on the children’s part. There will be places to draw or write. My idea is to take them through a routine to learn to spend time with God on their own. Do your own kids inspire you with book ideas? Very much so, Sherry. I want to write things that are useful to them. My kids have some stories they have made up, seen in dreams, even some ways they have seen God’s truth in everyday things. I want to turn those into books, or parts of books, also. Give us your heart – why should our readers get your book? I see my books as tools to give families a starting place to teach their children what they believe. They help to build a common vocabulary, a common starting place, and hopefully the habit of communication. It’s important for our children to evaluate ideas that are presented to them, especially by our culture. I hope that by showing ways things can remind us of Jesus they will see they don’t always have to buy the message they are given. God can use all things for our good, even commercialized holidays if we look at it from the right perspective. 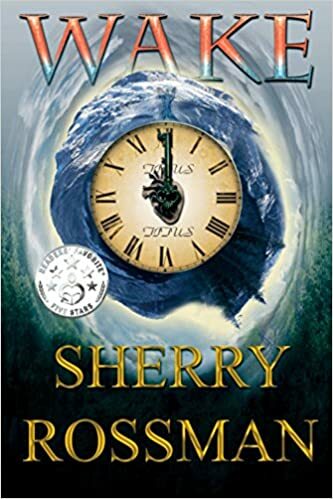 Thank you so much for having me on your blog, Sherry. Thank you to everyone who read along. Leave a comment and be back here on Friday when I will announce the winner! I LOVEEEEE how the author reflects on a word (autumn) that changed her perspective in what fall meant! Reading her interview puts into words so many thoughts that I as a Christian mother struggle with. “How do I introduce God’s meaning into our very commercial driven life?” I definatly look for ways to integrate God’s love into my daughters daily life so I look forward to more books by this author! Thanks Sherry! I LOVE how Mukkove tells us how the word autumn changed her perspective of the word fall. It’s so true how as young children the power of words through reading helps shape us into the adults we become! Mukkove writes about things that as a Christian mother of 2 daughters I find myself struggling with everyday. “How do I integrate God and his meaning into our everyday very commercialized lives?”. I look forward to Mukkove’s work that ties God’s love into everyday things in a way that children can understand! Thanks Sherry! Thank you for reading! Sherry shared her perspective change on autumn and it is a great example of influencing how our children interpret the world around them. Congratulations Mommybakerbowmaker! You won! I will be in touch with you soon.